When I find something that works, I want others to know about it. I don't pursue random sponsors. But rather, after I find something of exceptional quality, I pursue that company because I'd be excited to represent them and their products within my work. Okuma/Savage is one of those companies! Okuma Rods and Reels: Our go to favorites are the Helios 7’ ML and the Helios HSX-20. The new deadeye custom series looks awesome! I’m going to be field testing the 7’4” ml spinning. Looks like an awesome walleye stick. Also, the Helios 7' MH spinning with a Helios HX-30 has been a great tool for targeting walleyes and lake trout when heavier tackle is needed to get down to this fish - whether that's a heavier jig or a heavy jigging rap. We are adding two more of these rods to our arsenal for both deep water walleye fishing and deep water lake trout jigging on Lake George! We have also adopted the TCS 6'9" M+ skipping/wacky rig rod for all kinds of applications (skipping docks, snap jigging walleyes, throwing senkos wacky rigged or texas rigged, even throwing jerkbaits). We like that rod paired with the Helios HX-30 spinning reel as well. Super light combo lacking nothing in power! Savage Tackle www.savagegear-usa.com I am impressed by these products. More to come this year! Lots of success on the Armor Tube Worm. The best part about these baits is a mesh that helps keep the worm on the hook longer. Bass love 'em! Also had tremendous success fishing salt water with their TPE shrimp. Looks more like a real shrimp in water than a shrimp does! 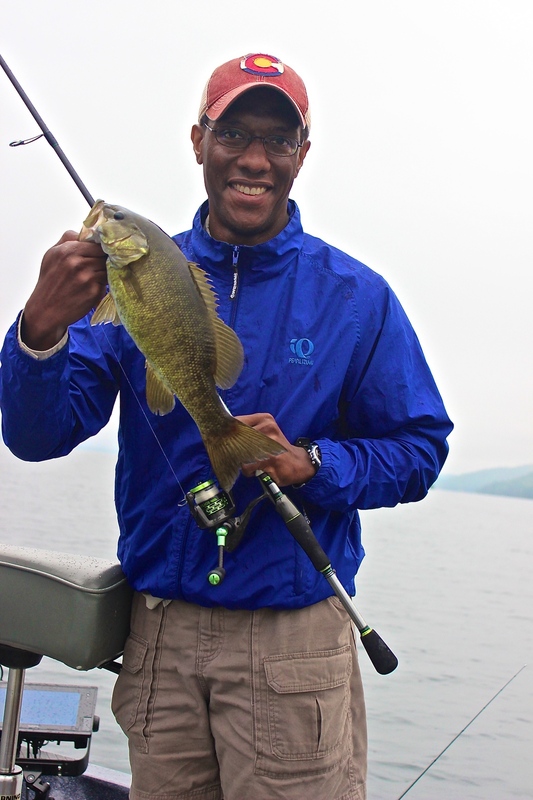 Guide clients love the quality and performance of Okuma rods and reels. 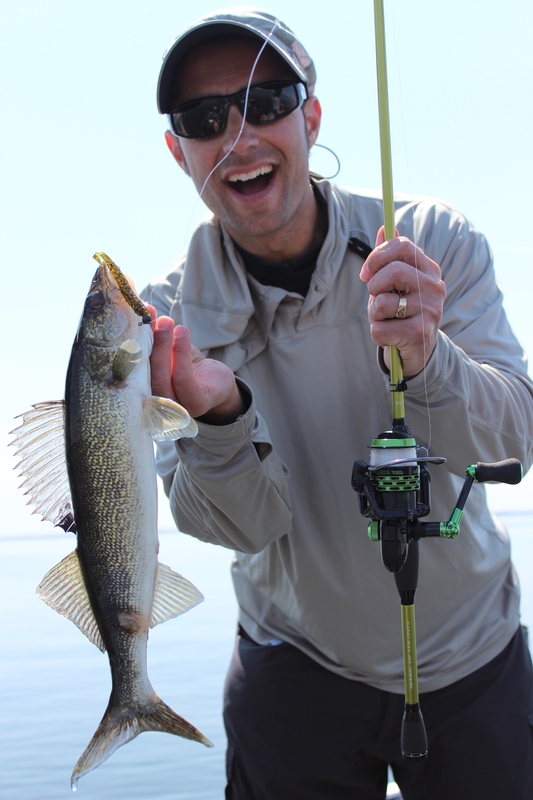 We throw plastics for walleyes and Okuma rods and reels are perfect for targeting these fish! This rod is perfect for fishing docks or for throwing wacky rigged Senkos. 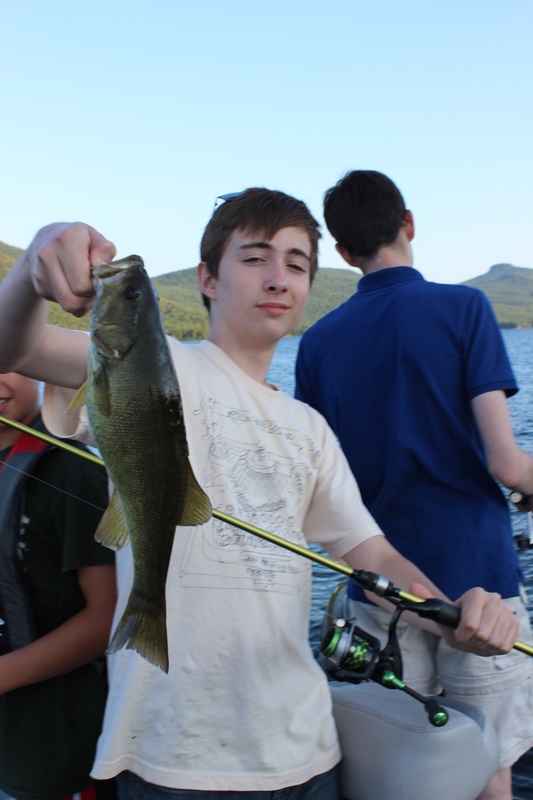 We catch a lot of big largemouth and smallmouth on Lake George with this rod! High quality gear at an affordable price! Okuma's line of rods and reels are excellent quality at a very reasonable price - backed by an incredible warranty. Our favorite is the Helios Series for rods and reels. Best and lightest rods on the market! C3x-40x 6'10" light spinning model works wonders on all species! And because the rod and reel weighs 10oz., you can fish it all day! Just joined Garmin's Pro Staff. This company not only has the kind of character and values that you'll want backing a product, but they also have the best technology out there! Check out their panoptix technology at www.garmin.com/panoptix and more about the GPSMap series at www.garmin.com. I have been researching electronics for probably the better part of a year now and I'm convinced that Garmin is tops! 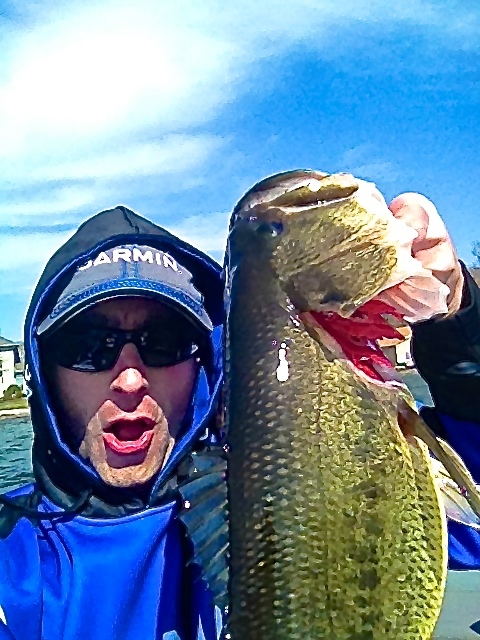 Then I had a chance to use the product in an MWT tournament where I fished on a friend's boat - and seeing was believing! We finished 2nd in the tournament and a lot of it came down to electronics. These products will help make the underwater world come alive, helping you to see how important structure is to finding and catching fish. More to come! Look at the clarity of imaging - those are cabbage weeds! When I find something that works, I want others to know about it. I don't pursue random sponsors. But rather, after I find something of exceptional quality, I pursue that company because I'd be excited to represent them and their products within my work. The Slider Grub is one of those products. Charlie Brewer Slider Grub www.sliderfishing.com New sponsor! You will be amazed at how effective these plastics are for walleyes (bass, crappie, big bluegills, pike - everything eats these baits)! Here are the specific details: 3" Slider Grub...Colors: Pumpkin Black Flake, Green Pumpkin, Watermelon, Watermelon Red, Gold, Black Flake. This is an excellent product that we have caught tons of walleyes on. Book a trip and see it for yourself. That subtle paddle tail on the Charlie Brewer Slider drives walleyes mad! Book a trip and experience them for yourself! Crappies Love Charlie Brewer Sliders Too! Everything eats these things - crappies, big bluegills, walleyes, bass, northerns - if it swims - it will eat this thing. Our best colors for walleyes are Watermelon, Green Pumpkin, Pumpkin/Black Flake, and Watermelon/Red/Copper/Black Flake. Pick up a bunch of these at www.sliderfishing.com. It's not easy to find quality jigs. There's a lot of stuff out there that is just kind of thrown together - mass produced, low quality. A friend of mine introduced me to Carl who is the owner of Old Fart Lures and he is a true craftsman. We designed a jighead together that incorporates everything I was looking for: A super high quality, big, wide gap hook - Mustad 4/0. Every jighead is hand poured using quality lead. Then it is powder coated making the paint virtually indestructible. He then cleans every eye (which is huge when you're hands are bone chilled and you're retying a jig on) and you are left with the perfect jig for throwing plastics to walleyes, bass, crappies, etc. He pours them in 1/8 and 1/4 all the way up to 1 oz. for fishing the Detroit River. He's not only designed quality jigheads for walleyes, he's also got an entire line of skirted jigs for bass - again - out of this world quality. I'm proud to represent Old Fart as part of their pro staff. Go to www.oldfartlures.com and purchase these products for yourself! These resorts receive my thumbs up: they provide clean, quality housing combined with resort owners who are extremely hospitable. If you are interested in booking a trip and need housing as well, let me help you book it. Houghton Lake: thecrestresort.com Had a chance this spring to visit this resort and I was thoroughly impressed. Great accommodations, indoor fish cleaning facilities, quiet north shore resort (only 2 min. poke to north launch). Cabins and entire resort has been managed well. In 2015 they added a new 2 bed room and renovated another cabin. Everything is super clean and well cared for. It has been awesome to work with Cary and Becky! I am most impressed by their hospitality! Stay there one night and you'll be hooked. www.ambersandsresort.com Beautiful location! Great place for a guy's fishing weekend. The resort owner has reasonable prices and it's right on the water with a place to moor your boat! Amber Sands Resort is an excellent choice for a family resort on Lake Leelanau. Lake Leelanau RV Park: www.lakeleelanaurvpark.com Top notch campground! Super clean bathrooms, excellent family centered activities, great little beach. Lake George (Silver Bay): www.silverbay.org The YMCA resort is a great, family friendly resort right on Lake George. 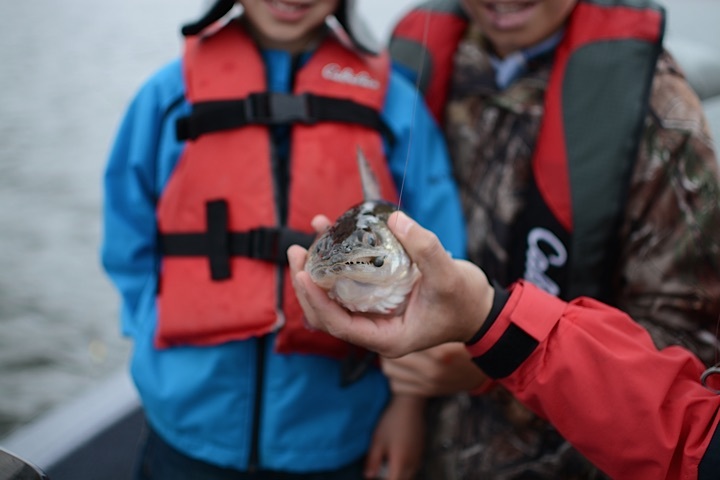 I can easily pick you up off the guest dock at Silver Bay and your family can enjoy all kinds of fun activities while you fish. You're looking at Slim Point, part of the YMCA of the Adirondacks in Silver Bay, NY. Beautiful accommodations in Hague, NY. 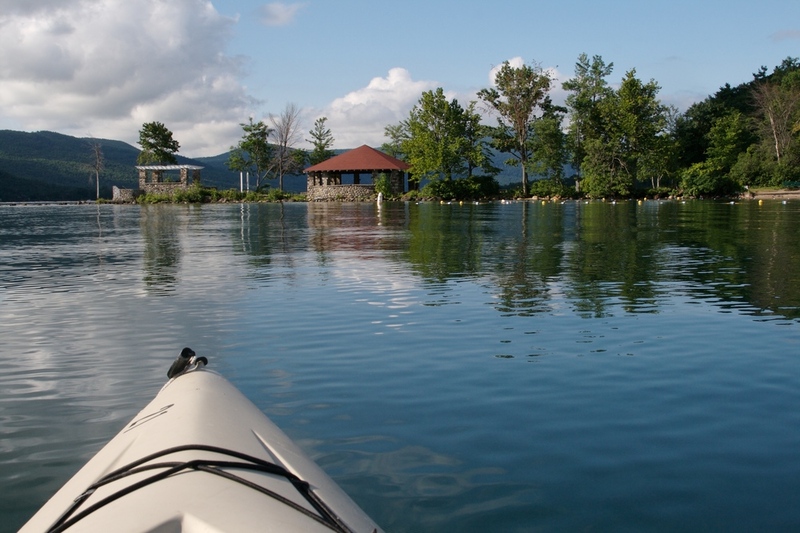 Not only are their houses beautiful, but they sit on the shore of Lake George and have many family activities right on property. In addition to great accommodations, the hosts of the Trout House are awesome people as well! Alice and Scott are super hospitable and great people to work with. This year I was able to join their pro staff and I'm super excited about it! They are a phenomenal company with an awesome team and an incredible product. Their team includes Brandon Card and Jeff Elliott - two of the best fishermen in the tournament bass world. 1. 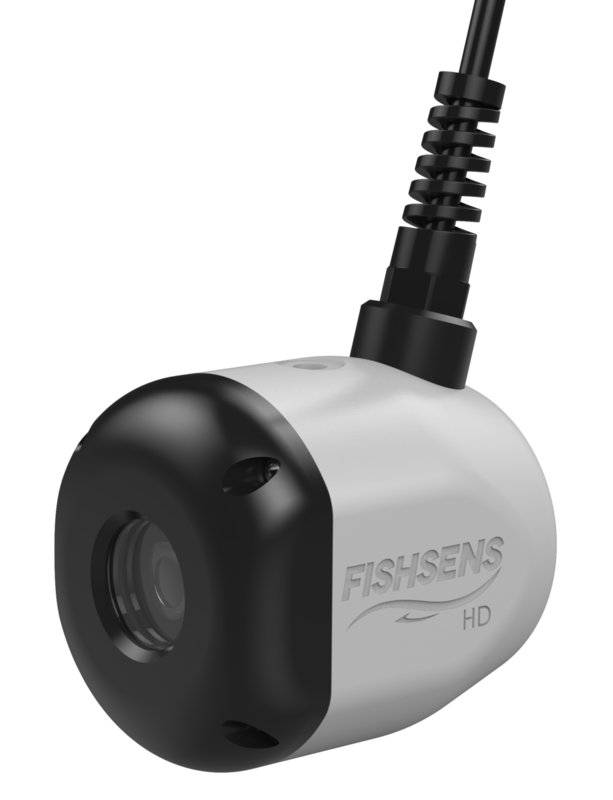 App and simplicity of use on a phone to see, record, and photograph the underwater world. 2. Product is super well designed and manufactured in the USA. When you look at the components and feel them, it just has the feel of a quality made device. 3. Connects directly into the back of my Garmin 7610 xsv. I have one of the best screen to see what's going to beneath me on the boat. 4. The company that manufactures the Sonde Cam is called Fondriest Environmental, an established, diverse company that makes quality environmental equipment and instrumentation. When I find something that works, I want others to know about it. I don't pursue random sponsors. But rather, after I find something of exceptional quality, I pursue that company because I'd be excited to represent them and their products within my work. Gamma is one of those companies/products! Flourocarbon: Gamma Edge gammafishing.com This is exceptional fishing line. It has incredible feel and strength. I pursued Gamma to become part of their pro staff because I'm convinced of the product! Mono: I tested Gamma's copolymer line and caught numbers of big fish without breaking a single fish off. Fished lots of docks with the same awesome results. The 10lb test was my favorite. Great for wacky rigging and skipping docks. Braid: Gamma Torque gammafishing.com Another tremendous product. Works great when fishing in thick cabbage to slice through weeds. Unbelievable feel. We are super excited to be a part of the Engel family. We just joined their pro staff team. So far, we know they make the best cooler on the market and they make the best live bait system out there as well! Look forward to talking more about these awesome products soon. Rapala added us to their guide program this fall. We use a ton of different baits by Rapala: Rippin Raps, Jigging Raps, Shadow Raps, and lots of different standard crankbaits. 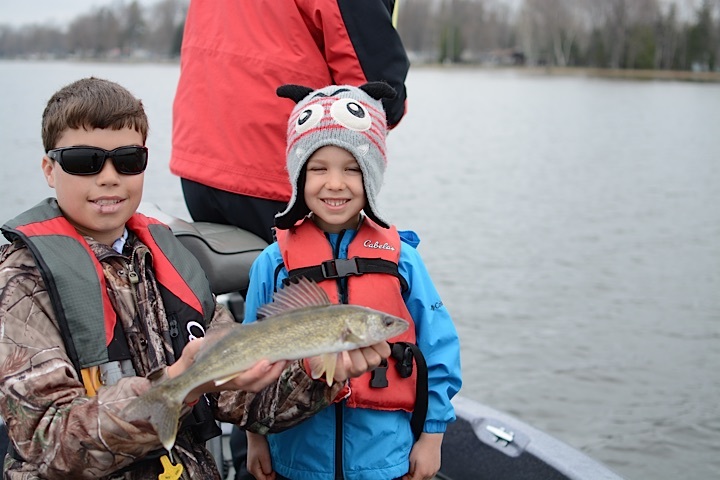 We would probably have to say that we are most excited about the success we have experienced with Jigging Rapalas over the past couple of years. 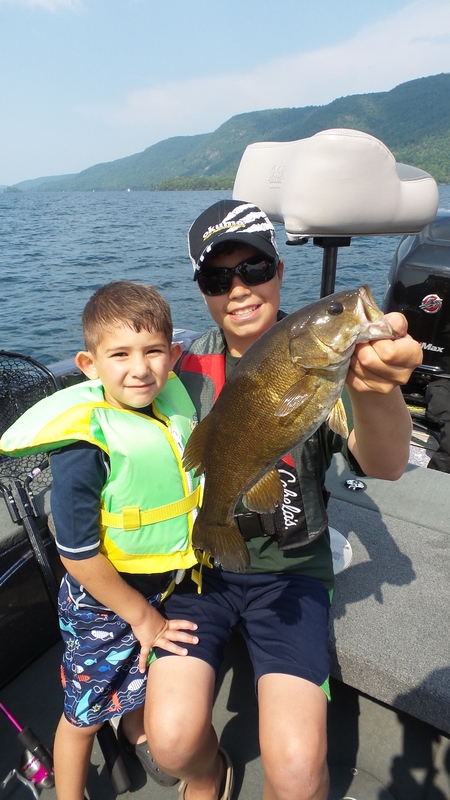 What started out as just an ice fishing lure has expanded to catch smallmouth and perch in deep water in the middle of the summer on Lake George. 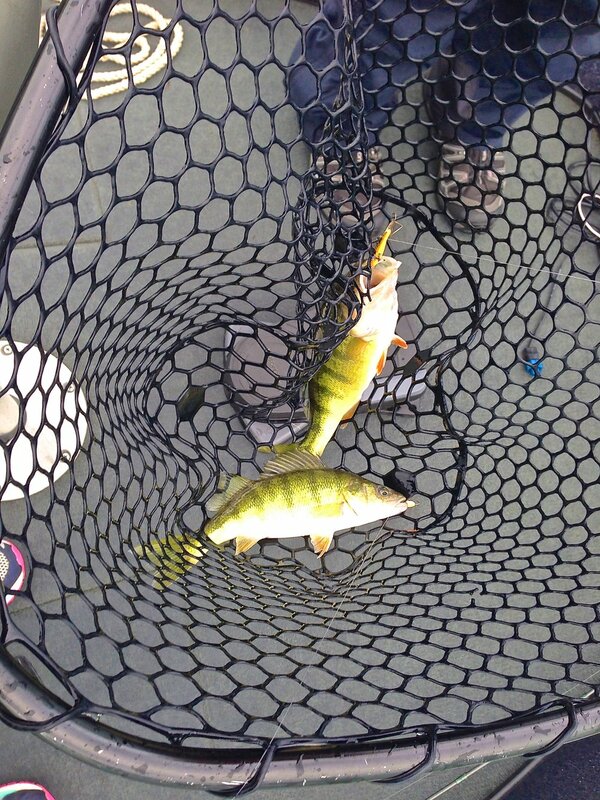 They've also helped us a ton catch perch and walleyes fished deep and shallow (thank you to Al Linder and Angling Edge for showing this technique off). We look forward to a greater partnership with this awesome company! 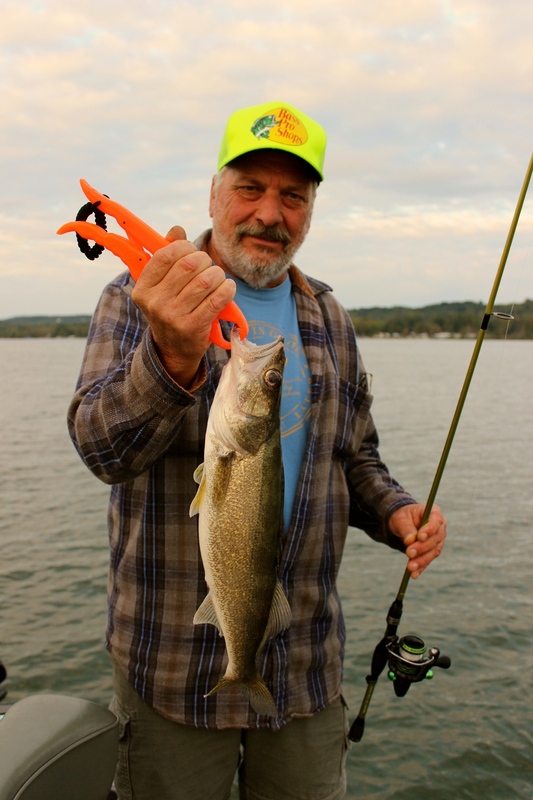 The Fin S minnow is one of the standards in the walleye jigging world. We are super excited to partner with this company not only because of the Fin S minnow, but also because they produce many incredible plastics and terminal tackle components. 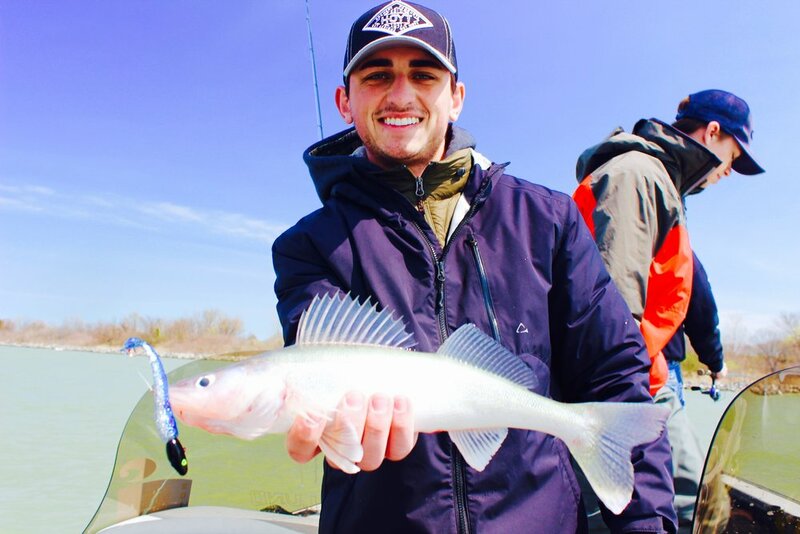 In our experience, we have seen lots of success with vertical jigging the fin s minnow, but if we have a chance to cast it and rip it, that's our preference! Last year, my son and a couple of excellent tourney partners ended up in 10th out of 66 teams casting and rip jigging this plastic. 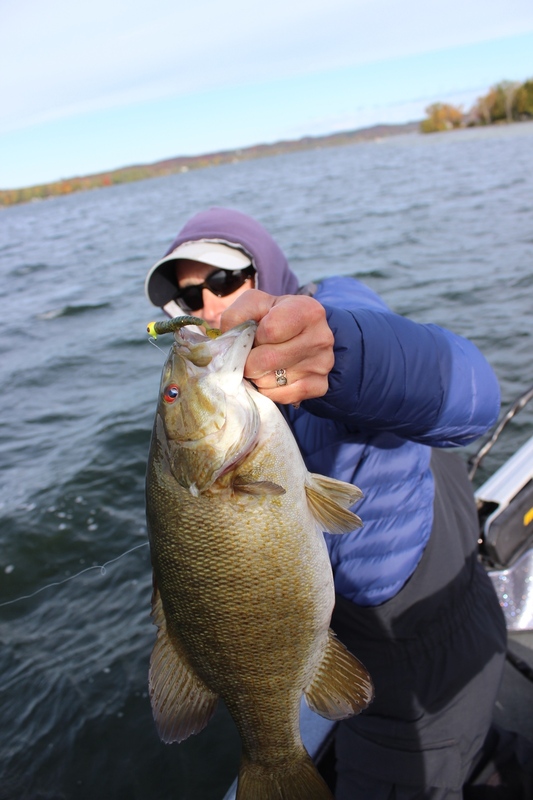 The other products that we love to use in our guide business are the drop shot weights that Lunker City sells. Great product at an incredible price! It's in your best interest to go to www.lunkercity.com yourself and check out what they have to offer. Their new website is incredibly easy to navigate and buy product from! Simms makes not only some of the highest quality outdoors clothing, but there stuff is super cool! That we were accepted as part of the Simms Fishing Pro Team! Simms not only makes some of the coolest clothing out there, but their products also are some of the best and well made. When you spend 100+ days on the water, and you don’t always have the privilege of picking your preferred weather, you need outer wear that stands up to the worst of conditions. And Simms products do just that. So we’re thrilled to be a part of their team. More to come on this great company and the products they sell as our first order comes in here shortly! I am super pumped to join the Skeeter team! This year you will have the opportunity to fish out of a brand new Skeeter SX 2250. This is one of the nicest boats ever designed and it will be an excellent fishing machine. I have been investigating Skeeter for a couple years now and I am impressed! I believe they are the best boat on the market, powered by the best outboard manufactered: Yamaha. This boat will have a 250 Yamaha SHO outboard, Minn Kota 15’ talons, Garmin electronics - including Panoptix and LiveScope, Minn Kota Ultrex with an anchor feature, and all the quality rods/reels/tackle you will need to have a great adventure on the water. Loved working with Jeff at Lake Drive Marine! Lake Drive has been a great company to work with - both for buying a boat and for having maintenance done on a boat. Can’t wait til the boat arrives - there will be photos and videos to come!